Back when my business partner and I started the company in 1995, we were a couple of “snot nosed kids” as my mother used to call me when I was young. We were really good at what we did which was installing and implementing ERP software for manufacturers. We weren’t however very good with finances. We were fortunate in that the company started off with a bang. We were traveling to some of the largest companies in the world and we were the Red Adair’s of our eco-system. Saving manufacturers for countless hours of downtime and really helping them get the most out of their software investment. It wasn’t long, about 15 days if I remember right when we needed to bring on our first team member. and that’s when our accountant introduced us to what is still called today in our company, the 2 Times (2x) rule. 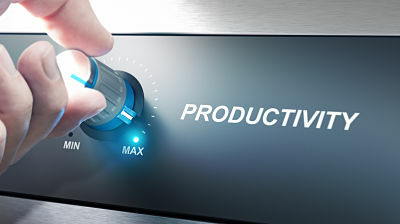 In today’ss episode of the IT Provider Network, I am going to introduce you to the 2X rule and the concept of LER or Labor Efficiency Ratio as well as give you so actionable ways you can get more out of your days. So the 2X rule was pretty simple, our accountant told us for each employee we brought on we needed to have 2 times that amount in revenue. If we hired a 100k a year guy we needed to product 300k of revenue with that employee to stay solvent and make a profit. That rule held fast for many years in our company, and it became a major part of our hiring decisions over the years. We always did our what-if analysis on a spreadsheet that became known as the “Death of PICS” spreadsheet. Back in the days of time and material billing a 100k resource that sat on the bench for a while could literally be the death of your company. Fast forward to the last few years, we have continued to grow and our business has continued to evolve. Our managed service division is more than 50% recurring revenue and our enterprise software division is moving to SAAS and more recurring revenue too. Because we now have some managers that are not revenue producing so we needed to revisit the 2X rule and make some adjustments. What we found is that the old 2X rule is really called LER or Labor Efficiency Ratio and LER was still a good measure of how efficient we are as a company, a division, for a customer or as an employee. In simple terms, it’s the 2x rule but now we shoot for a higher number closer to three. For 2017 The higher the number the more efficient you are being with your resource but there is a point where LER grows too high and you are really stressing out your staff. You need to find out where that tipping point is for your team and anticipate the need to hire more staff before they start walking out on you. If the LER is low then you may have uncovered some problems in your company, either excess or poorly trained staff, needy customers, wasteful practices, lack of procedures or problems in your procurement or service delivery. Add LER or if you like the 2X rule to your arsenal of metrics for your company, but don’t look at it in isolation. It is only one metric that needs to be part of your planning and strategy. Enough of that boring bean counter stuff , and my apologies to all you bean counters let’s talk about some actionable ways you can get more done and increase your LER. Not everything can be evergreen but much of your content can be. This isn’t always easy to do but it isn’t that hard either. For example, this “blog post” is really my script for the podcast. In addition, there is a good part of this article that applies to all small businesses not just IT service providers and MSP’s so I can reuse this content on my business site as well as a tweaked up version for LinkedIn to drive traffic to my site(s). Webinars – > Repurpose as shorter on-demand training – take screen shots for Instagram, use slide decks for SlideShare. Episode 4 of the IT Provider Network provided some great tools for Inbound Marketing and I have a free webinar project plan offer for you at the end of the show. Also don’t forget to drive your followers to more than one social media platform. You might be thinking why would I do that, well it’s because all of the major platforms never all 100% of your followers to see 100% of your content. Try to get them to spread the love! Market on your email signature “Ask me about…” or “Did you know…” type lines. Market on your Invoices and any other regular communications with your customers. Delegate to an admin for the mundane work. Remind your sales team of the ABC rule – Always Be Closing! Educate your team on how to use the tool for more than just a very expensive screen share. Reduce your reactive support calls by stopping the problems before they happen. Build a network of contractors you can depend on and trust. Make a call before things are past due. Don’t let the customer’s problem become yours. Build Rapport and a Relationship between your finance team and your customers.